Pioneers in the industry, we offer magic with pencil vol-3 book, magic with pencil vol-1 books, magic with pencil vol-2 book and magic with pencil - vol-4 from India. 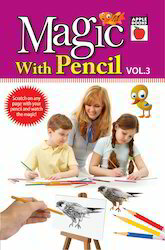 Magic With Pencil Vol-3 book offeredcomes in 16 page softbound finish and is fun to work with. Made available in high printable quality finish, these books involve use of pencils to draw shapes and for illustrations. The interactive learning approach of this book also makes students understand the correct use of pencils while shading. Being suitable for preschool and kindergarten children, these books comes with hands-on activity based worksheet that is fun to work with. 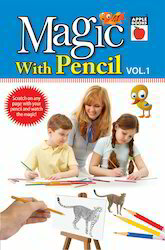 Magic with Pencil Vol-1 book offered comes in 16 age softbound finish and helps children learn the pencil art. Coming in simple to use learning interface, these books are fun to work with and are perfect choice for introducing children to craft lessons. With each page beautifully illustrating a picture, these books are best for teaching young students through activities that are fun and instructional to go through. Further, the sheets also help kids develop eye-hand coordination and shading concepts. 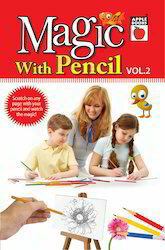 Magic with Pencil Vol-2 book offeredcomes in 16 page softbound finish and creates for the child a delightful world of self-play. As a best learning option to teach young students, these books are best for engaging attention of children in Kindergarten and initial school years. Coming with pages on a variety of themes, these books provide a strong foundation for art techniques. These books are best suitable for kids of kindergarten, preschool and grade school children. Looking for Magic with Pencil ?